The Confederation of African Football (Caf) have yet to officially announce the pots for the Africa Cup of Nations (Afcon) draw in Cairo on April 12‚ but past history suggests that Bafana Bafana will be in the third tier of countries‚ providing a difficult path to the next stage. The 24 qualified teams are divided into four pots‚ each containing six teams‚ who will be drawn into the six first-round groups. The top two in each pool advance to the second round‚ along with the four best third-placed teams. Caf will use a mixture of the March 2019 Fifa world rankings and recent past performance in the Afcon finals to sort the teams into four lots‚ which would place South Africa in pot 3. That would mean the teams they will not face in the first round pool stage in Egypt are Uganda‚ Guinea-Bissau‚ Zimbabwe‚ Angola and Burundi. But it also means they will have two of the continent’s top sides in their pool‚ with pots 1 and 2 packed with quality opposition. Pot 1 is likely to be made up of Egypt‚ Ghana‚ Tunisia‚ Ivory Coast‚ Cameroon and Senegal‚ while Pot 2 should be Morocco‚ Nigeria‚ DR Congo‚ Algeria‚ Mali‚ Guinea. Bafana will have to face a combination of any of those two‚ and it is hard to see an easy pathway‚ with perhaps Cameroon and Guinea the best combination they can hope for. 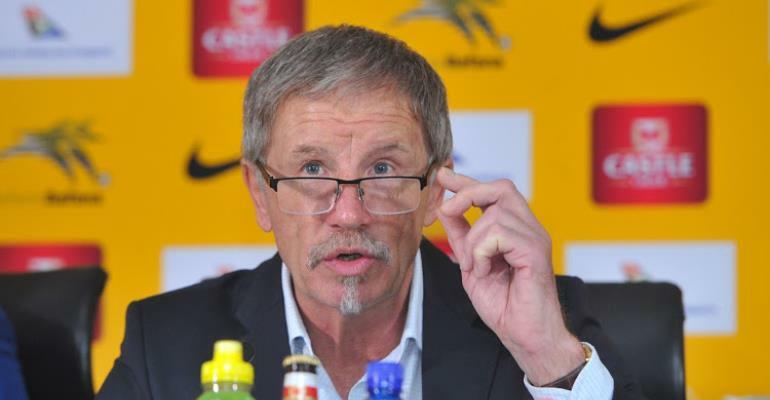 But Stuart Baxter’s side could also be pooled with hosts Egypt and Morocco‚ Tunisia and Nigeria‚ or Ivory Coast and Algeria‚ for example. Pot 4 also has some potentially tricky opponents in Mauritania‚ Namibia‚ Benin‚ Kenya‚ Madagascar and Tanzania‚ though Bafana should fear none of those. Bafana were pooled with Ghana‚ Senegal and Algeria in the 2015 Afcon finals‚ their last appearance‚ and managed just a single point from those three games. This year’s Afcon will run from June 21 to July 19 and will feature an expanded field of 24 teams for the first time.